It has been eight years since CSR last changed its branding. The update includes a newly designed logo and refreshed packaging. The redesign has been applied to 36 CSR sugar products sold in Australian supermarkets. Melissa Clayton, CSR Senior Brand Manager, said the new CSR look is an exciting step for the company. “Over the years, CSR Sugar has stood the test of time and as the Australian consumer is changing, so are we” Clayton said. CSR will promote the redesign with a communication and advertising campaign across digital and print channels. 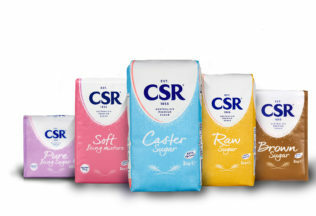 New-look CSR Sugar products are available in Woolworths and Coles supermarkets now. Recommended retail prices start from AUD $1.50 for a 500g serving of CSR Raw Sugar. WHAT do you do each year with 2,516 tonnes of persimmons, valued at $10.5 million?